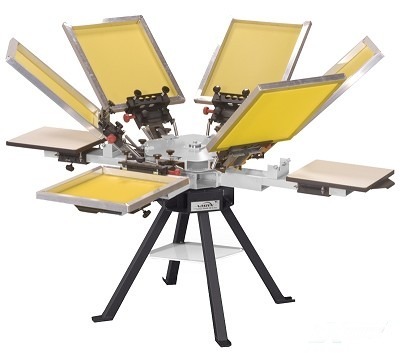 The V-1000 is a new manual garment printer designed to meet the needs of the entry level screen printer. The V-1000 uses the industries most unique floating head design. Accurate registration can be achieved without the high cost associated with machines of this capacity. Available from a 1 color/1 station, table-top unit to a 6 color/4 station floor model.